The most common sized shark clip used in spearfishing applications. This H.D. 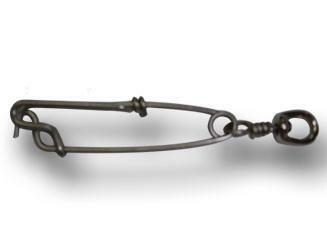 2.5mm wire clip hold up twice that of your average shooting which ensures it is never the weak point in your rig. Mostly this is used at the rear of spearguns, used to clip onto speed spikes or plain rig rope endings. Also commonly used on floats as terminal clip.